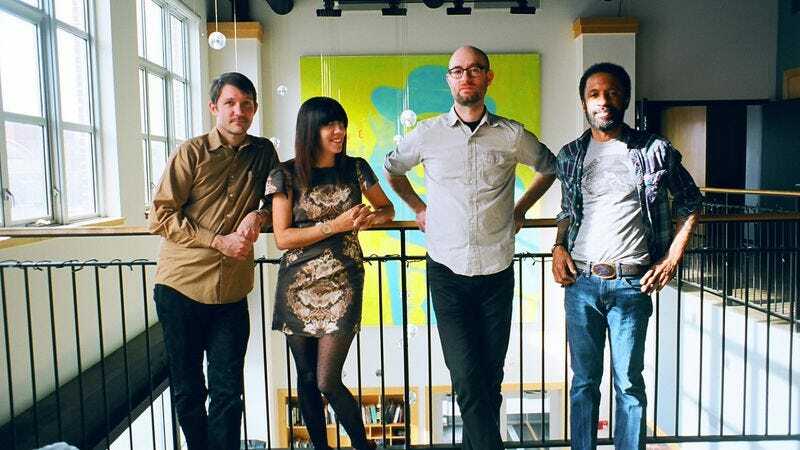 Led by Cursive’s Tim Kasher, The Good Life is Omaha-based indie folk at its finest. With a new album, Everybody’s Coming Down, out now on Saddle Creek, the group just dropped a new video for “The Troubadour’s Green Room.” That clip is premiering exclusively via The A.V. Club and, as Kasher says, was put together by Bryan Brinkman, “a great illustrator and a family friend.” A detailed and lovely little animated line drawing, the clip is perfectly suited to the slightly funky cut. The Good Life is on tour now, and all the group’s dates are below—including a stop at The Troubadour.